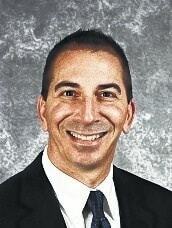 Galion Superintendent Mark Stefanik accepted an offer Tuesday morning to become superintendent with Currituck County School District in North Carolina. Stefanik will begin his new position there Dec. 1. He was in North Carolina this morning for the announcement. “This was an opportunity to return to the school district that gave me my first teaching position right out of college,” Stefanik said in a press release. According to school officials, this marks a homecoming for Stefanik, who began his teaching career in the North Carolina district. Stefanik has been superintendent in Galion for the past two years. His final work date in Galion has not been determined. Stefanik said he is pleased by what is happening with the Galion district. “We have started many good things in Galion focused on student success and I hope the district leadership will continue to see these programs through to full, successful implementation,” he said.